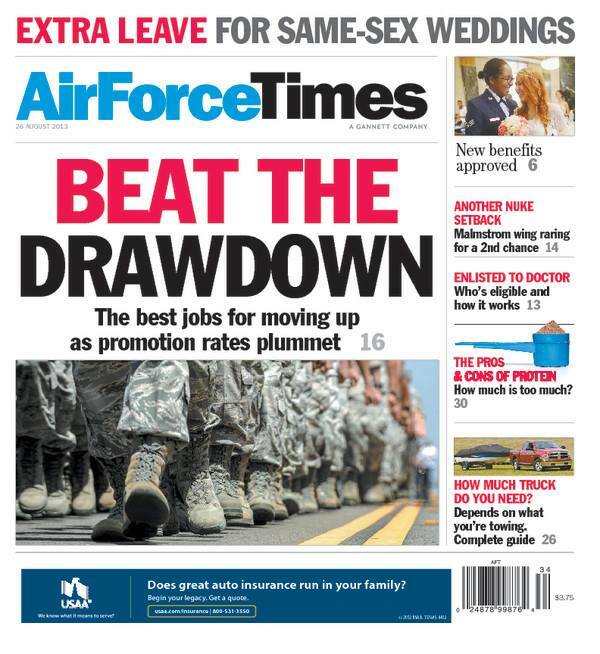 If you are looking to move into a career field with a better chance for advancing, be sure to read this week’s Air Force Times. We look at six years of promotion data to determine which airmen selected to advance had the lowest average time-in-grades in the Air Force. Also this week: Before you take off for your next vacation outside the U.S., make sure you are allowed to travel to your destination. You can read the five things you need to know so that you don’t accidentally buy a ticket to a restricted area. In other news, a military appeals court has overturned the death sentence of an airman convicted of killing an airman and his wife and the attempted murder of another airman. We walk you through what happened. Meanwhile, some lawmakers are trying to block funding for basing CV-22 Ospreys at RAF Mildenhall. Find out why. And read our tribute story to Tech. Sgt. Michael Smith, who was killed in a helicopter crash in Okinawa. He is remembered as a devoted family man and a brave warrior.